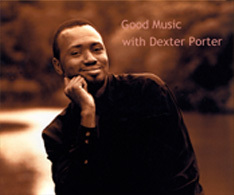 Dexter Porter is a jazz standards vocalist originally from Eatonton, GA and is presently living in Weehawken, NJ. 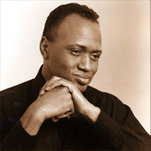 At the urging of friends, Porter changed his focus from a career in musical theatre and television in the great city of New York to a career as a jazz vocalist. Dexter began with pianist, David Marck, to develop a repertoire of standards to perform in such notable nightclubs as: Windows on the World, Birdland Jazz Club, The Triad and more recently Nell’s. Porter has performed privately for Barbara Walters, Mayor Mike Bloomberg, Liz Smith, Regis Philbin, Starr Jones, and many other celebrities. Porter believes it is important to keep a truly American form of music, Jazz, alive. His debut CD, Crazy She Calls Me, is available for purchase at CDBaby.com, or at iTunes.com. The official release of ,Crazy She Calls Me, will be in March 2007 with a tour to follow.